Let’s say you went to a movie this past week and it blew your mind. The cinematography was awesome, the acting was out of this world and the story line was perfect. Why not write about it? Review websites are great ways to start talking about subjects you love, from gaming to movies, technology to restaurants. Regardless of how big your review site is, the chance to discuss art and design with other people who also enjoy it is almost therapeutic. After that, you can even make an attempt to become known throughout the industry as an expert. Think about how many of the reviewers on Rotten Tomatoes got their start. They simply created a website, went to movies and started writing about them. People began following them and marveling at how they were able to communicate how good or bad a movie was. This is your goal with a review site, but it’s essential to use a WordPress review theme in order to give your reviews the punch they need. Review themes include all sorts of components, like star ratings, user interaction tools and simple blog posts for talking about your most recent review. Plenty of WordPress review themes are on the market, so we did the dirty work and compiled the best ones for you. 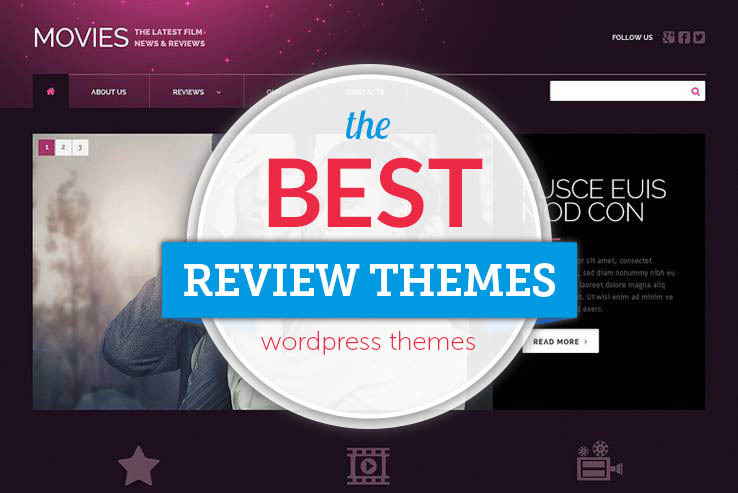 Keep reading to find out more about these themes which help you create stunning review websites. The Divi theme is a great place to start if you’d like to share reviews online. 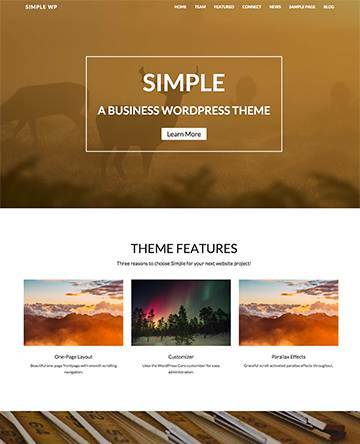 It’s one of the most versatile WordPress themes on the market, with a drag-and-drop Divi builder for adding content blocks without having to know any code. The theme also includes various premade layouts for formatting the way your review site looks in as little time as possible. The Divi theme is completely responsive which ensures your website will look great even on mobile devices. 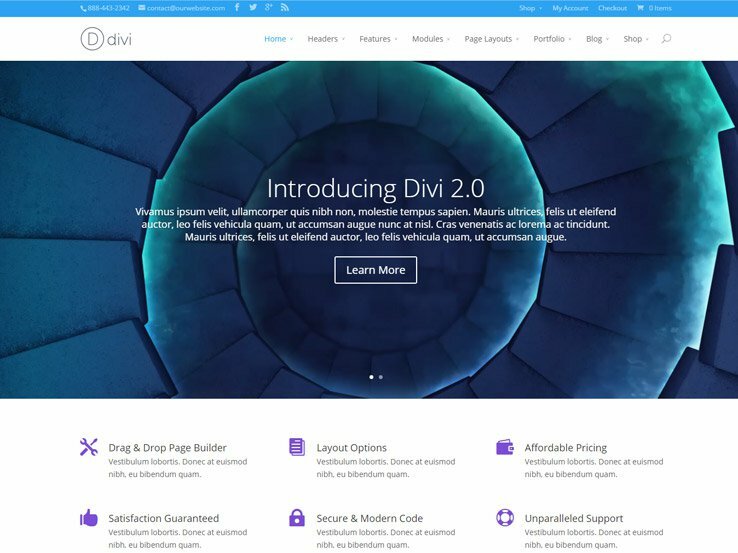 The crown jewel of the Divi theme is the Divi Builder which includes modules for placing items like countdown timers, reviews, sidebars, and tabs. 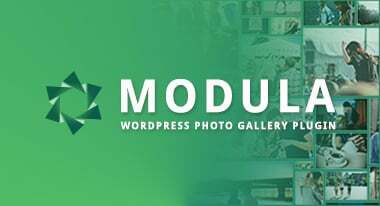 Each of these modules comes with relevant settings for customizing the way you want it to look on your own site. Advanced design settings are also available for modifying colors, spacing, typography, and more. This means Divi gives you complete control over your website’s design. Tap into the custom CSS area if you’re an advanced coder to customize the design even further. Along with a strong design foundation, countless options, and a beautiful layout, the Divi theme is one of the top themes for just about any industry, particularly those where you can review items. The MagXP WordPress theme is a great choice for any review site since it’s completely responsive and it includes an integrated review system for showing ratings and comments on any of your blog posts. The drag-and-drop homepage sections are rather useful for those who don’t have much design experience but it also assists developers who simply want to speed up their client site creation process. The MagXP theme is highly customizable and it provides unlimited sidebars for inserting as much content into your site as possible. The two different single post layouts bring in a little variety for your posts. The theme is HTML5 and CSS3 ready which means it’s easy to add your own code and the MagXP also includes unlimited color options for customizing your site the way you want. The integrated translation panel works wonders for translating your website, while the demo content ensures you don’t ever have to start the design from scratch. Along with over 630 Google Fonts, rich snippets, WooCommerce integration and 15 widgets, you can’t go wrong with the MagXP theme for your review website. 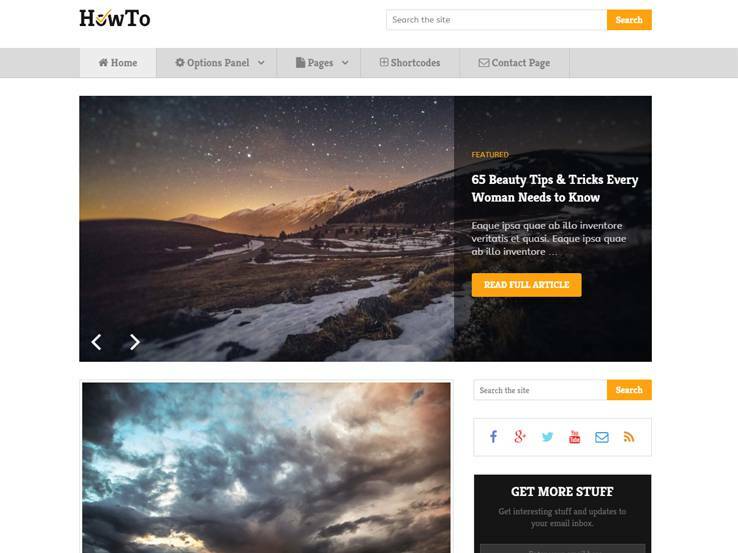 Consider the HowTo theme if you’d like a review website with stunning effects and super fast load times. The responsive layout looks stunning on mobile devices and powerful options panel is essential for customizing your website’s colors, fonts, and more. The HowTo theme provides AdSense support so you can start making money with the reviews you post. 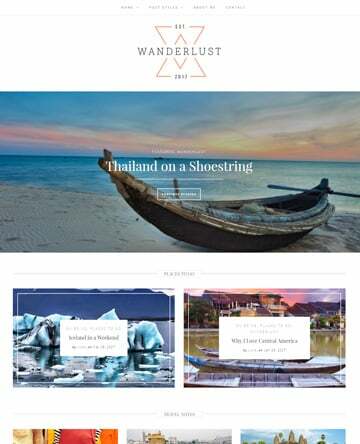 Two unique homepage layouts come with your purchase and two beautiful slider options allow you to send people to your new reviews and share any promotions you may have. There’s a handy little module that lets you share related articles, along with schema integration for boosting your search engine results. Parallax scrolling is a nice feature for grabbing attention when people land on your site and the off-canvas menu clears out the clutter and puts your content into focus. Choose from over 530 Font Awesome icons and use the integrated social media buttons to send people to your social platforms like Facebook and Twitter. 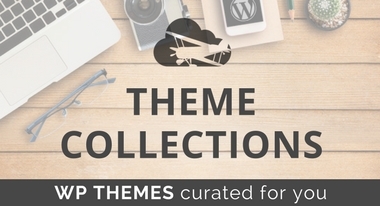 Finally, the theme also includes an author box, shortcodes, breadcrumbs, and mega menus. 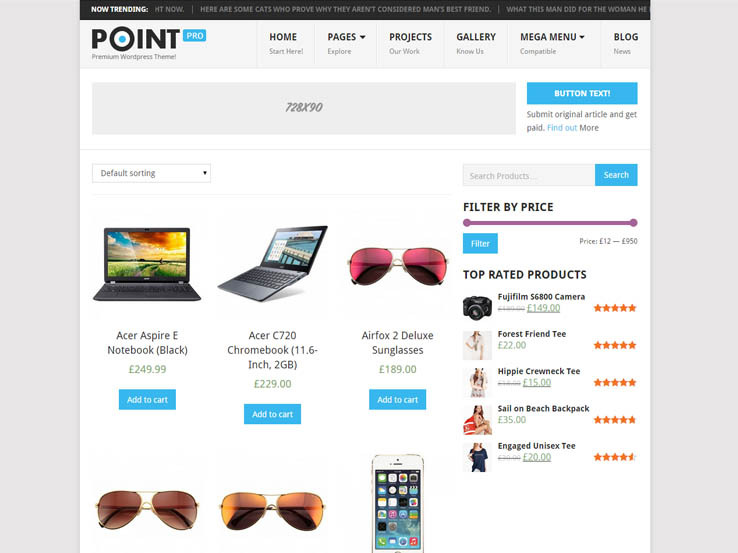 The PointPro WordPress theme provides a sleek and modern layout for any review site, using a responsive layout for mobile devices and a drag-and-drop homepage for those interested in quickly designing a website. A notable feature is the translation support, which ensures that anyone who speaks another language can still read your wonderful reviews. The PointPro theme comes with various widgets for adding anything from contact forms to an about us widget. A unique slider section helps send people to your most important pages and the features section is handy for including a brief description of your company. A projects area is available for showcasing your past work and you can even showcase your team if you have a staff of writers. Add a blog feed section with thumbnails and previews of your blog content and even create a gallery with anything from movie posters to book covers. The WooCommerce support is helpful for people who would like to start selling merchandise to go with their reviews. 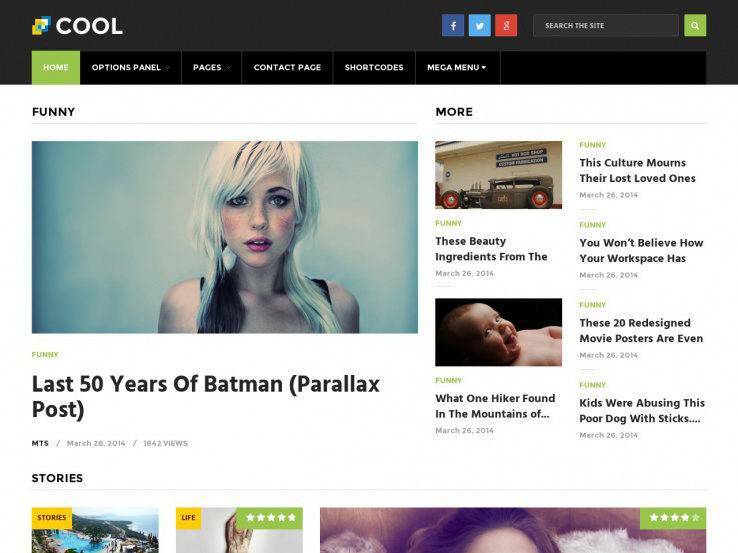 The Cool theme has a powerful mega menu and a clean white interface for keeping your content organized for your visitors. The stunning design is fully responsive to ensure that everyone can view your reviews on smaller devices. The theme includes four different layouts for adding some variety to your website and displaying your reviews in style. Multiple drag-and-drop sections mean you don’t have to know any code and search engine optimization tools help you boost your search engine rank with each new post. The Cool theme supports AdSense which is great for people who want to monetize their review sites. The parallax scrolling feature is a new trend that helps you grab user attention and make a great first impression. The WP Mega Menu is compatible with the Cool theme, which helps you add as many pages into your navigation as needed. 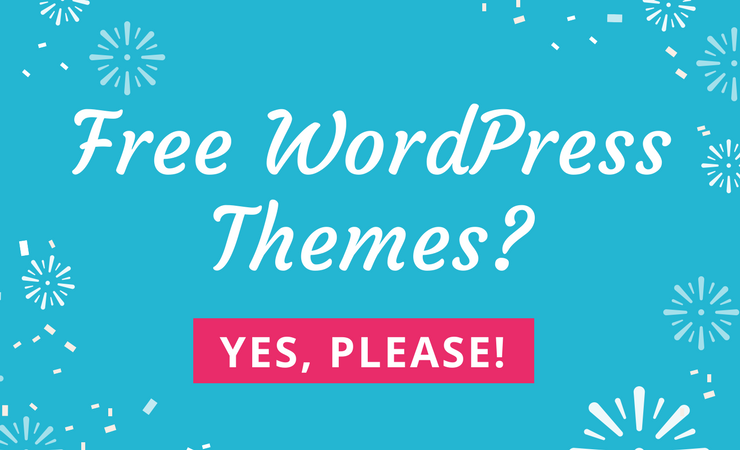 The theme also integrates with a few other plugins such as the WP Subscribe Pro, WP Notification Bar, and WP Review Pro plugins. All of them help you boost the functionality of your review site. The Interactive theme is a theme from MyThemeShop and it features fast load times and blogging features to share reviews on a regular basis. Off-canvas mobile menu helps you organize your navigation on mobile devices and the responsive nature of the theme ensures your website looks great on any screen size. The theme comes with one-click installation, which is perfect for both beginners and advanced users alike. The amazing typography adds some style to your website while also helping with branding. Use the breaking news ticker to share information about the industry or to alert people when you release a new review. 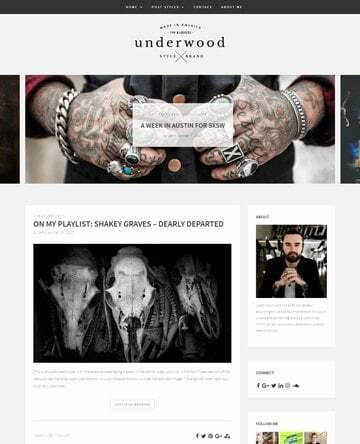 The Interactive theme has a three-column layout, which allows you to add loads of content on your site. 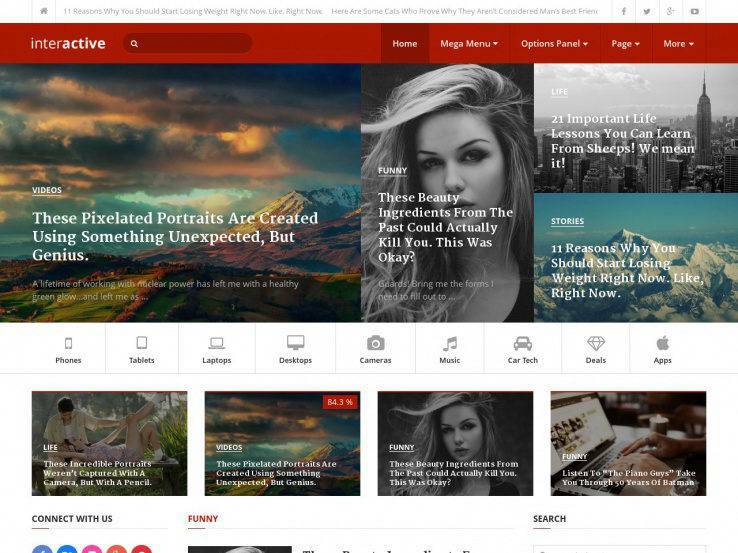 Along with multiple homepages, unlimited colors, AdSense integration, and over 630 Google fonts to choose from, the Interactive theme is one of the top themes you can go with for a review site. Large images and beautiful navigation menus are essential for a movie review website. 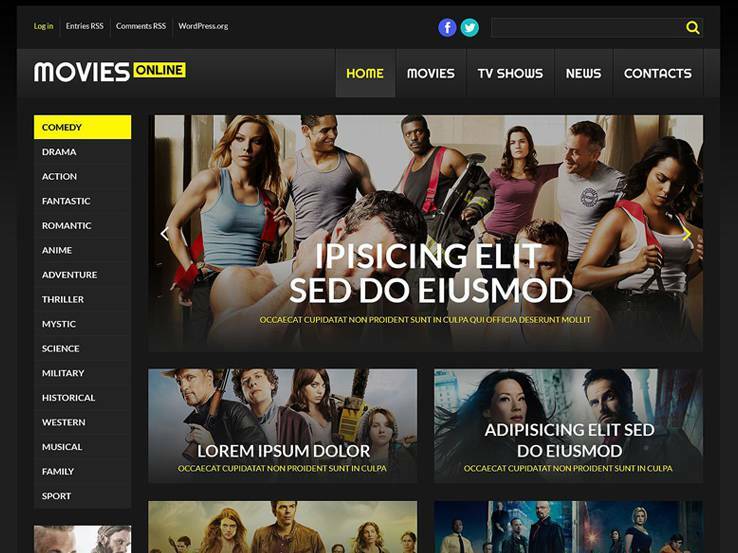 The Online Cinema theme is a great choice for anyone who wants a modern look, along with a magazine style homepage and various grid-based areas for featuring your most recent movie reviews. The responsive design looks great on all mobile devices and the theme options panel provides settings for typography and color changes. Custom post types allow you to include quotes, galleries, and images, while the multilingual nature of the Online Cinema theme means you can easily translate your website into another language. On top of that, over 80 shortcodes are included with the theme, which is nice for adding elements like buttons and columns, all of which can take a significant amount of time to program without shortcodes. The two-step installation is nice for both beginners and advanced users, and the filterable portfolio makes it easy for potential clients to find relevant work. 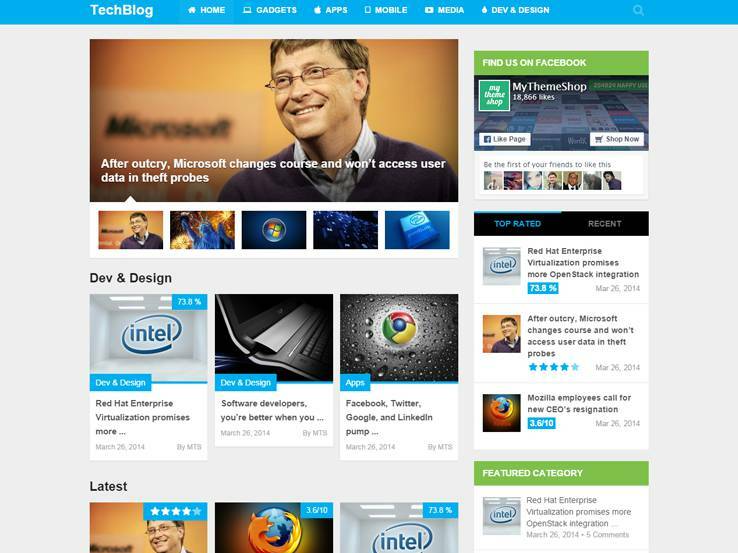 The theme includes plenty of custom widgets to add anything from commenting to social sharing. Along with a built-in theme customizer, fantastic sliders, and an advanced backup system, the Online Cinema theme is certainly a choice to consider for movie reviewers. The Game Reviews theme has a pretty self-explanatory title since it provides all the settings and tools you need for launching a review site for games. The slider supports high-resolution images, which allows you to showcase all the beautiful gaming art we see nowadays. The responsive design looks wonderful on all mobile devices while the theme options panel includes post types for asides, galleries, links, and more. 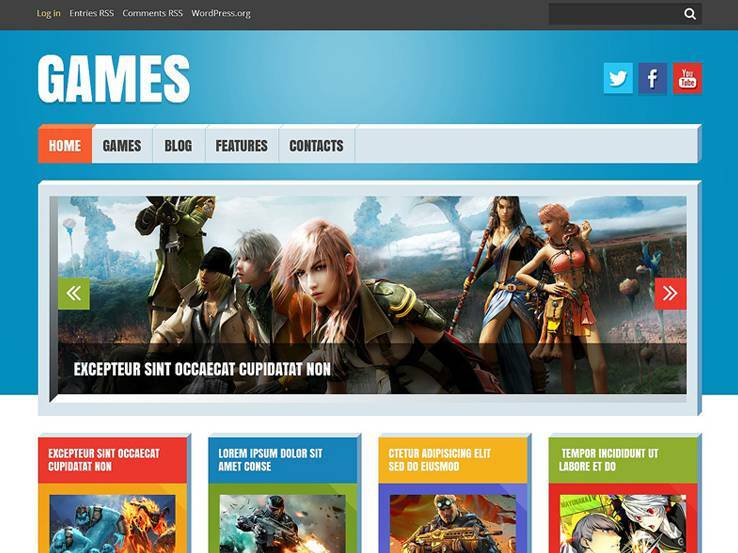 Over 80 shortcodes are included with the Game Reviews WordPress theme. 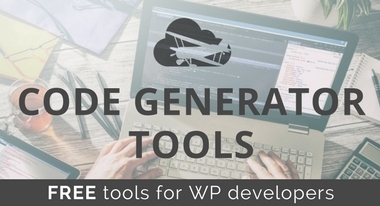 This makes it easy to add various content blocks such as buttons, accordions, columns, and more to your pages or posts without the need to touch a single line of code. Paste the little shortcode into the area in which you’d like to see an element and use it whenever you need a particular content block. The multilingual nature of the theme means you can connect with a worldwide audience. The theme also includes multiple color options which is great if you’re not entirely set on the default color in the demo. Custom wigdets allow you to add comments and social media while the filterable portfolio offers you an option to share galleries and even past work with potential clients. The slider supports beautiful images and the advanced backup is exactly what you need to ensure that a crash isn’t going to ruin your website. 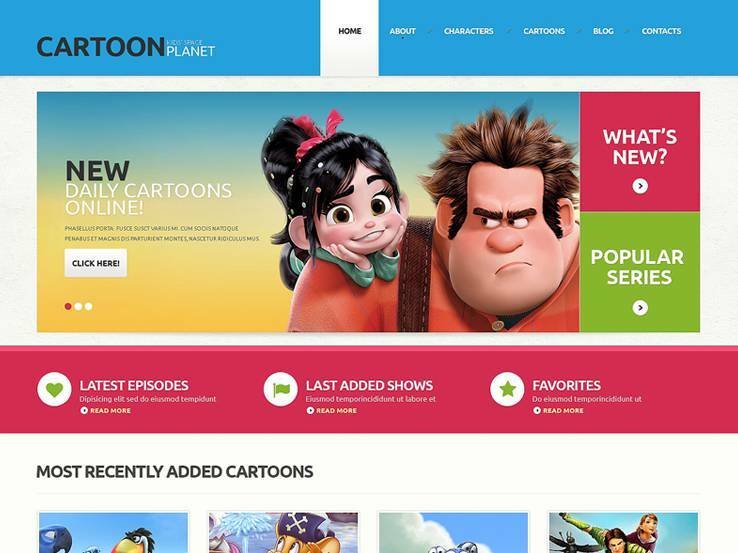 Cartoon Planet Movie Review is a responsive and vibrant theme built on top the Cherry Framework which means it includes powerful customization features. The theme has everything you need to create a powerful review site for cartoons and it includes a large slider image that showcases your latest features. Include several calls to action on your homepage that drive people to your most popular content and you can easily add video reviews or previews of up and coming cartoons. Customization options allow you to easily customize the website to match your brand and thanks to the page builder, the shortcodes, and custom page templates, you can easily adapt the website to a different niche. On top of this, the theme is fully responsive and includes translation files which allow you to create a multilingual website. Finally, the theme also comes with 24/7 free support and beautiful stock images to help you get started with your design. 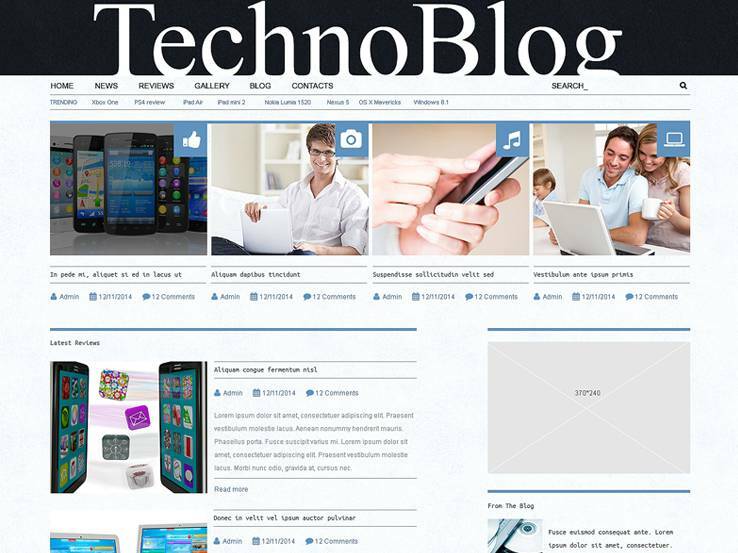 If you’re more into gadgets and the latest technology, consider the Electronics Review theme. The theme has a clean black and white design along with support for various post formats which allow you to create different types of reviews. Add a video review or an audio one to break up the monotony of many review websites out there. The theme also includes several menu positions which allow you to create a custom menu featuring your latest reviews right below the main navigation menu. The homepage displays a list-layout of your recent reviews and the widgetized sidebar means you can easily include additional content such as your email subscription form, social icons, recent comments, and more. The Electronics Review Theme is built on top of the Cherry Framework which includes a responsive design, tons of customization options, and plenty of shortcodes to add elements like buttons, accordions, toggles, and more. On top of that, the theme is SEO optimized and includes translation files so you can easily work on reaching an international audience. 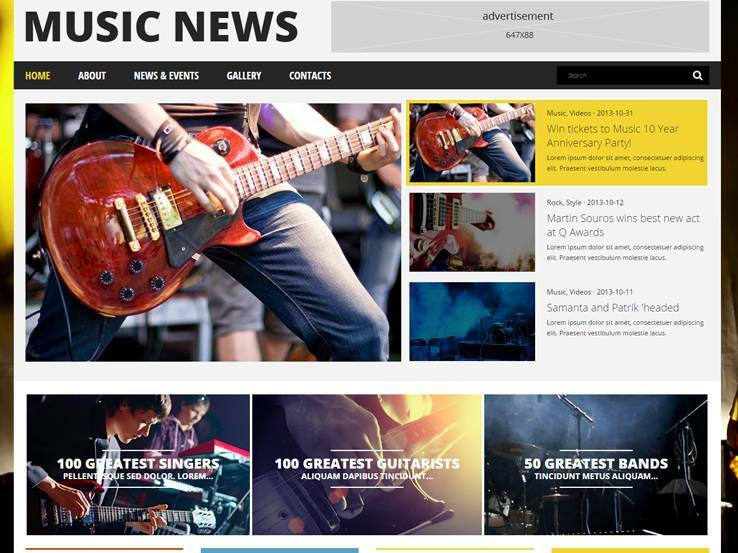 Music Fan Board is a great choice for all the music fans who’d like to create a website to review their favorite artists and bands. 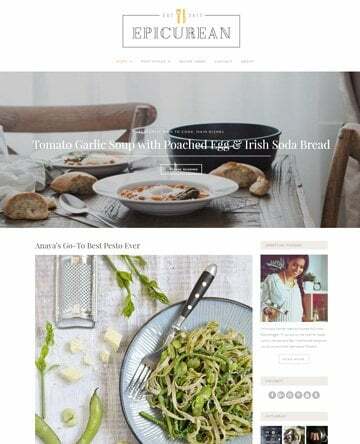 The theme includes a gorgeous slider to feature your latest reviews along with a grid-based homepage layout to present your content in an organized fashion. You can even include third-party ads so you can easily monetize your website. Hi, I found a couple review plugins that might be helpful for you:\n\nhttps://wordpress.org/plugins/review-builder/\n\nhttps://wordpress.org/plugins/wp-product-review/\n\nIf anyone else has any suggestions, would love to hear them. Awesome article! Thank you for sharing. This helps me much. Hi Tuan,\n Awesome! What theme did you decide on?